The ocean's 332 million cubic miles are no different to orcas than a 40-foot tank, according to SeaWorld. The company is making claims that the $300 million "Blue World" expansion plan will be just as good for its whales as releasing them into an ocean sanctuary. "Part of the reason why we do what we do is so that our guests can see and experience these animals within our parks, and the concept of sea pens or an ocean sanctuary is not inherently better nor does it allow us to fulfill our mission of inspiration and education." The value of that education to the whales is unknown, however. SeaWorld has repeatedly refused to reveal the exact amount of money it spends on conservation and rescue efforts each year. Dold also noted that the "primary motivator is the whale experience." 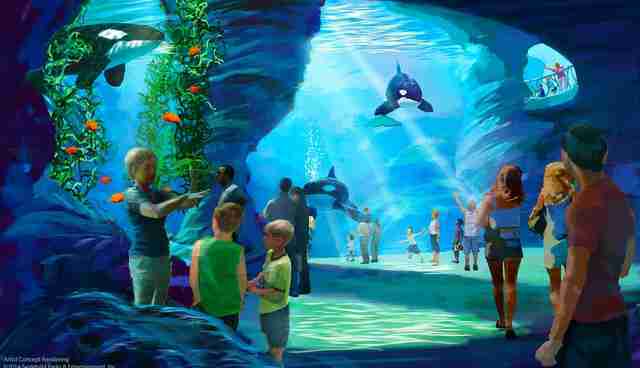 "There will be a variety of surfaces and levels throughout this new habitat ranging from a depth of 50 feet to shallow areas where the killer whales slide up out of the water, doing it on their own and working with the trainers." Accidents and injuries involving orcas, inbreeding and high prevalence of repetitive, stereotypic behaviors at SeaWorld have led many to argue that the company's "primary motivator" is profit, not animal welfare. 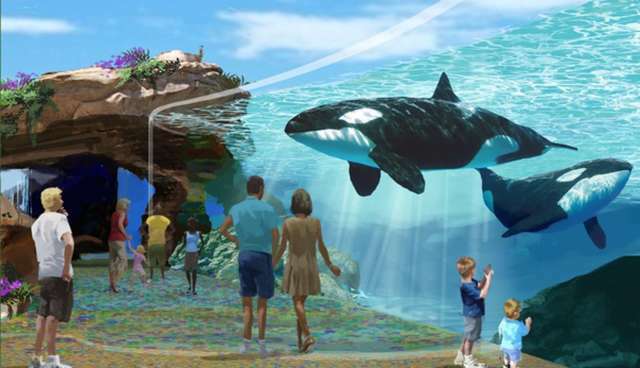 SeaWorld says that the project, which involves building 40-foot-high glass walls, should be completed by 2018. But a spokesperson for the San Diego Coastal Commission told The Dodo that SeaWorld still hasn't obtained the necessary permits to even begin building. Geologic hazard maps created by the city's Development Services Department show that the park sits on land that has a "high potential" for ground failure hazard, due to shallow groundwater, major drainages and hydraulic fills.